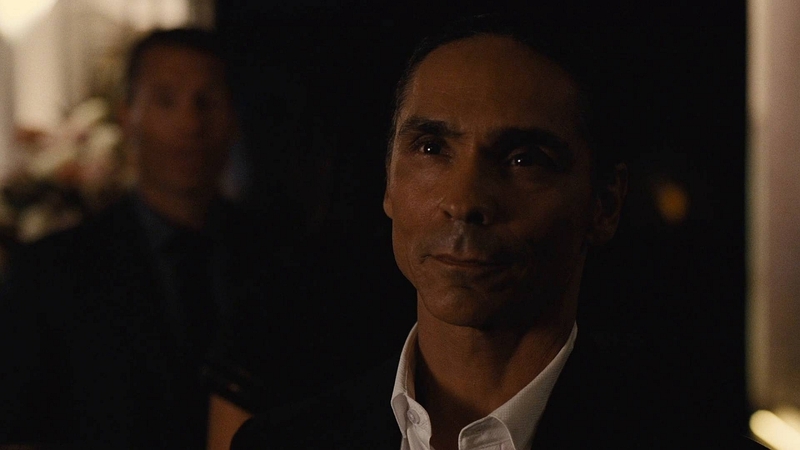 What was it about their pitch, and about Westworld overall, that drew you to the story? Jonah and Lisa’s visionary and imaginative storytelling. I was a fan of the first season of the show. It’s top-notch storytelling. I don’t see a lot of television out there that compels me to actually want to be in it. It’s hard to turn down job offers, obviously, but when something like this comes along, it’s just a privilege to be a part of it. Everyone on the team is exploring these philosophical ideas about consciousness and identity and free will. I find it to be so compelling. It’s the kind of television that makes you sit down and need to think about it. It’s not the stereotypical, clichéd detective story. Anything different from normal television is something I want to be a part of. It’s something that was very easy to say yes. Carly Wray co-wrote this episode, and also co-wrote the second episode of the season, which is the first appearance of Akecheta, albeit in a very different circumstance. She said even then, you were greatly interested in getting under the hood of Akecheta, learning who he was internally. What were you wondering about the man? 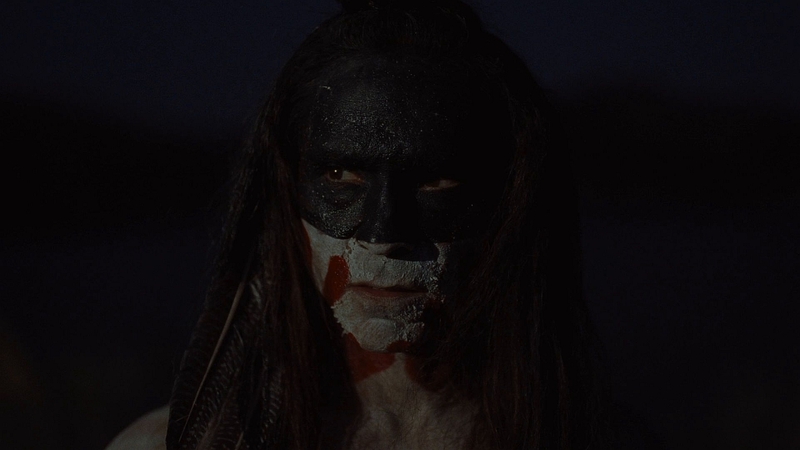 Watching the first season and watching how well-written all the characters on Westworld are, I was very interested to see where they were heading with the Akecheta character and Ghost Nation, and how they were going to explore that. It’s a bit unusual to most shows, though. You walk in, and there isn’t a lot of back story [available], especially in episode two. In the process of acting, you want to grab onto anything you can in order to express your character. It’s a little bit different and unique with the Westworld process; it’s a bit of a blind faith process. They give you enough to hit your mark and have an idea of what this character is about, trying to stay as honest as possible with the information you have received. It’s a little different, a very unique style of getting information. You don’t have much on the page. It was a different process to navigate, but a good process. It brings different traits to your character, because you only have exactly what you need. Speaking of “as honest as possible,” Carly Wray mentioned she and co-writer Dan Deitz wanted to make sure this episode was culturally authentic and responsible, and that you were involved on that front. Can you speak to that experience? We brought on Larry Pouier as a Lakota advisor, and we had Cordelia White Elk, who did a phenomenal job with the language. I’m not fluent in the language, but I grew up around it. My mom is halfway fluent and I was able to contact her to see if things sounded right. They were very specific about all of that stuff, Carly and Jonah and Lisa. They wanted to get the language especially right. They were very open to Larry’s points of view and my points of view. I find that’s the case nowadays in most productions. They want to get things right, especially when portraying a specific tribe. It’s not like the old days, when they’re making stuff up and casting white people as natives. They’re bringing real natives in for native parts. It’s a beautiful thing. We’ve progressed quite a bit. How intense was the makeup process? That was probably one of the most difficult parts of the job, to be honest with you. It was about a two and a half hour process. It’s a mixture of glue and paint, so it’s extremely uncomfortable. But it does get you into that head space that you’re outside and in the sun with this paint on you that’s cracking, and they need to touch you up every five minutes because there’s paint cracking on your face. It’s probably the most difficult part of the job, getting that done every morning. I was very happy on the mornings I didn’t have to wear the paint. (Laughs.) Getting the stuff off was extremely hard. I would wake up in the morning and still have paint in my ears. It was pretty tedious. But I kept thinking about what someone on The Hobbit or Star Trek or something like that goes through, with four to six hours of prosthetics. I had it pretty easy; all they had to do was slap it on. There are so many beautiful shots of the landscapes throughout the episode, and there’s a recurring image of Akecheta on his horse, looking out at the dunes. One can imagine what’s on his mind in those moments; what was on yours? First off, the locations really were absolutely beautiful. Being in that setting helps an actor out quite a bit, just looking out at the pristine beauty of Utah and where we were. One of the main themes I tried to keep throughout my performance and my thought process was the awakening, and the existential crisis Akecheta was going through and trying to understand the loops he’s going through. There’s a lot of loss and love throughout the episode. That was pretty easy for me to get to, especially with playing opposite a beautiful actress like Julia Jones (“Kohana”). There’s a drive in trying to reclaim what was stolen from him and his people. There’s one scene where he starts trying to override his programming. It’s a scene where he’s about to scalp the miner. You see those locations, and it was very easy for me to look around and get into that character. 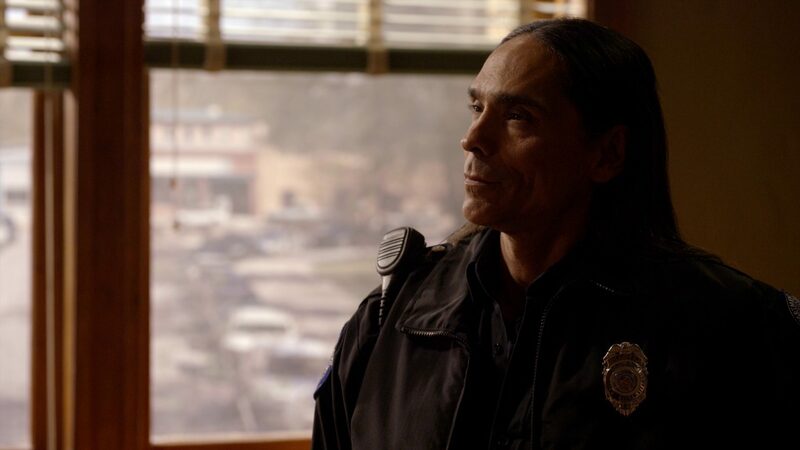 Moving out of “Kiksuya,” Akecheta and Ghost Nation have arrived in a major way. What’s next? Hm. How do I answer that one without giving anything away? (Laughs.) Akecheta is on a journey. He’s woke. He’s looking for that door. That’s what you’re going to see in these next few episodes.